Picture the scene. You have lovingly prepared a home-cooked meal for your dog, ensuring that every single nutrient that your pet could need is present. You lay it down … and Fido couldn’t be any less interested. That’s problematic enough – and then your hound rubs salt into the wound by showing a bizarre interest in a fellow pooches poop when you take them out for a walk that evening. What’s up with that? Dogs eating poop – whether it’s their own or one of their canine companions – is more common than you may think. Let’s take a look at why dogs seem so fascinated by their own waste, and what we can do to stop them from munching away on such undesirable solids. 1 Why Do Dogs Eat Poop? 1.1 Does My Dog Eat Poop Because He or She is Submissive? 1.2 Is My Dog Eating Their Poop to Hide it? 1.3 Is My Dog Eating Poop Because of a Poor Diet? 1.5 Why is My Dog Eating Poop All of a Sudden? 1.8 My Dog Ate Poop – What Now? 1.9 Is a Dog Eating Poop Dangerous? 1.10 Should I Take My Dog to the Vet for Eating Poop? 1.11 Will a Dog Go Blind if They Eat Poop? 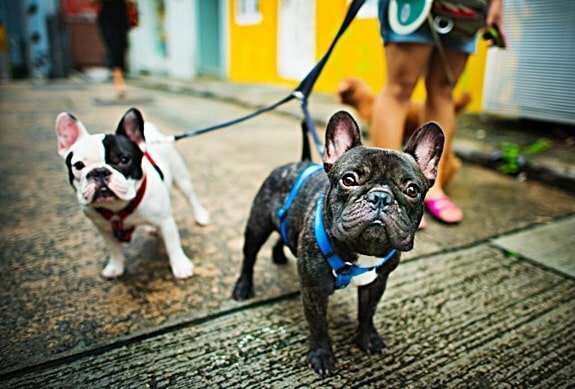 Dogs making a meal of feces – whether that’s his or her own or that of another canine – is more common than you may realize. It’s so common, in fact, that the condition has a name – coprophagia. Coprophagia is a canine-specific offshoot of the human condition pica, which is a compulsion to eat non-edible items. Pregnant women are most likely to fall victim to pica, finding themselves compelled to shovel dirt, chalk or all kinds of strange things into their mouths. Let’s take a look at each of these behaviors in turn. 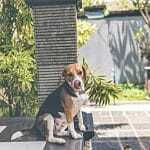 Does My Dog Eat Poop Because He or She is Submissive? This behavior is typical of dogs that were once stray, so if you have adopted a dog from a shelter that’s prone to eating poop, this could be why. If your dog were part of a pack that roamed the streets like a pooch-centric West Side Story, each hound would have a different place in the pecking order. If your dog was low on the totem pole, they might have been expected to chow down on the waste of the pack alpha to demonstrate their subservience and submission (or maybe this is a behavior they learned by watching other pack members do so – doggy see, doggy do, doggy eat doo-doo). Also, this behavior may have been designed to hide any evidence that the dogs were ever present, and deter enemies and predators from tracking them down. Is My Dog Eating Their Poop to Hide it? This is equally likely, especially if your dog is worried about being in trouble for having an accident. The quickest and easiest way of doing this is scarfing down the poop before anybody finds out that it was ever there. This is, again, quite likely if your dog is a rescue and has been mistreated in the past. If your dog had their nose rubbed in waste, for example, and was scolded for having accidents, they would be keen to make sure that nobody finds out they have done so again. Another reason that a dog that has previously lived in a less-than-ideal environment may be prone to eating poop is that canines are, by and large, clean animals. That may sound oxymoronic while we’re discussing a dog eating their own waste, but if your pooch was neglected and left to clean up their messes, that might be just what they did, using the tools at their disposal. Some dogs even develop a taste for their poop in these scenarios and find the eating to be a way to calm their nerves and ease their stress and anxiety. There could be another reason for this, too – maybe your dog is sick, or if they are sharing a home with another canine, that pooch is under the weather. 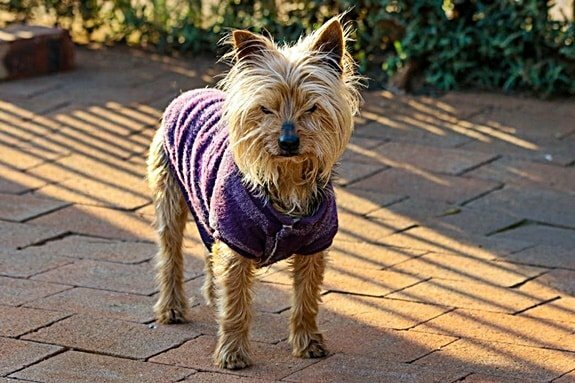 Dogs are loyal to their packs, and if they’re worried that ill health will be discovered, they’ll be keen to do what is necessary to hide the evidence so that another dog or animal doesn’t attempt to take advantage of this weakened state. Is My Dog Eating Poop Because of a Poor Diet? This is a common cause of coprophagia. If your dog is eating a meal that doesn’t break down sufficiently within their colon, which is particularly likely if they are being served up a poor quality diet that lacks essential nutrients, they won’t break this food down appropriately in their colon. That means that, when your dog eliminates, and it isn’t picked up later, they get a whiff of a scent that they associate with dinner and munch it down all over again. 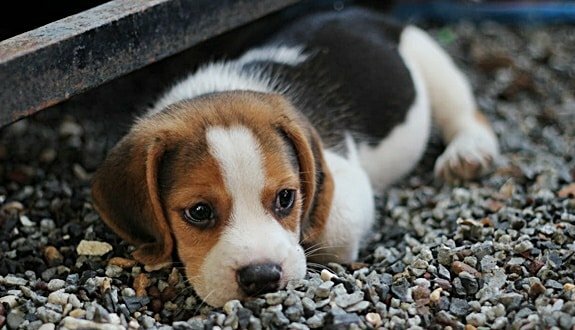 The same may also happen if your dog eats too fast and doesn’t chew enough (look into a specialist feeding bowl that slows down doggy dining if this is a common problem), or they’re not getting enough Vitamin D.
If your dog insists on dining on the poop of another canine, try to find out what that hound is eating. There is something in that particular pooches diet that is appealing to your pet, and their senses are being sent into overdrive by the very idea of getting some of it for themselves. This is perfectly normal behavior, albeit not something that you’ll want to encourage. Puppies explore the world through their mouths and noses more than their eyes and ears, so they’ll want to taste everything that they come into contact with – especially if the object in question has a strong or distinct smell. That means plants and flowers, shoes and socks… and, yes, poops that they find on the ground. Most young dogs grow out of this behavior of their accord as soon as they realize that their human parents offer considerably tastier treats that the waste that they find on the ground in the park or streets. 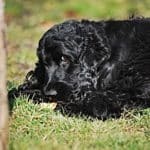 If your dog is showing symptoms of coprophagia seemingly out of nowhere, especially if they are a little older, it may be a warning sign that their impulse control surrounding elimination is starting to weaken. This is especially likely if you’re asking why is my dog peeing on the bed on purpose? This is why it’s particularly important that you do not, under any circumstances, scold your dog for any toilet-centric accidents. If your dog grows worried that they’ll be in trouble if they empty their bowel, they’ll do whatever it takes to hide the evidence – and the eating of it is the easiest way to do so. If your dog eats the waste of other hounds but seems turned off by their own, it’s not a matter of low self-esteem. You should, however, take a look at your dog’s diet. It may be that this poop smells appealing because it appears to contain nutrients lacking in your own dog’s meals. Alternatively, it may be because your dog is extremely submissive (see our notes on this earlier in the guide, especially those that pertain to formerly stray dogs that on a low rung of a pack’s pecking order). This is a behavior that you will want to coach your dog out of, as it will rarely have a happy ending. 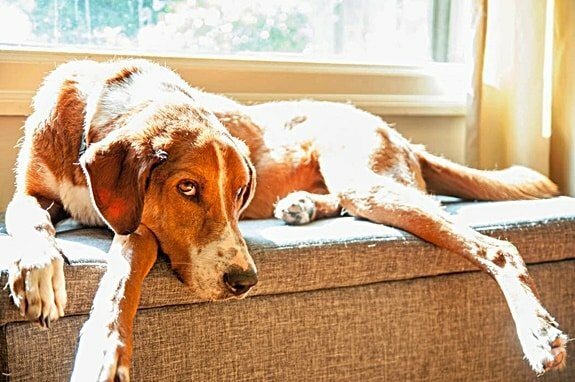 Who knows what kind of condition that other hound will be in, and by extension, how healthy – or not – their poop is? If your dog is indifferent to the excrement of their fellow canines but seems fascinated by that of cattle and other animals, it’s perfectly understandable – especially if the dog in question is still a puppy. Think about it for a moment; where you see a giant pile of poop that is likely to contain all kinds of potential infection and unpleasantness, your dog smells something rich, interesting and exciting. This means that your dog will munch on such waste happily, wondering what this new experience could be. You’ll want to train your pet out of this particular behavior, but it’s not necessarily something to lose your mind over. It’s all just part of a canine’s natural curiosity. 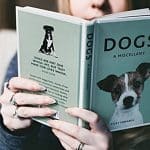 My Dog Ate Poop – What Now? If your canine companion has started dining out on doo-doo, you’ll need to take a few safety measures to protect both you and your dog. Brush Your Dog’s Teeth. If you need advice on how to brush a dog’s teeth, check out our guide. It’s hugely important that you do this after your pooch has been munching on doody, especially if you’re wondering why does my dog have bad breath suddenly? There’s every chance they’ve discovered a secret supply of snack food that you wouldn’t ever approve of! Check Your Dog for Any Sign of Sickness. Is your dog behaving normally after their unappealing interlude? Are they vomiting, or suffering from diarrhea but acting normal and eating? You know your dog best, and know whether they will be suffering as a result of their meal. If you have any doubts at all, make an appointment with a vet. Eating poop may be common, but that doesn’t make it a recommended or desirable behavior! Is a Dog Eating Poop Dangerous? Well, look, it’s poop – not even Gwyneth Paltrow would be able to pass that one off as a health food fad that everybody should get on board with. It’s not necessarily a matter of life and death, either. As always, it all depends on the condition that the edible excrement is in. Keep a look out for any of the following in the poop that your dog was munching on, and if you spot any of them, make an appointment with your vet. Worms and other unwelcome infestations look like white flecks in dog poop that resemble undigested rice. They may have left one dog’s colon through their waste, but if your pooch is tucking in they’re just offering another new home. Ever noticed that flies are attracted to poop? Doggy waste is no exception, and if your dog is determined to eat doody they’ll also be ingesting all kinds of insects – bugs that have previously munched on lord knows how much other poop and other unpleasant things. Some dogs aren’t in the best physical health, and that may be reflected in their stool. If your dog is taking in another canine’s blood that may not be the healthiest thing, especially if that plasma contains traces of disease. We do realize that we are asking you to rummage through a strange dog’s waste here, but in our defense, your pet started it. It’s for their good, in the grand scheme of things. Should I Take My Dog to the Vet for Eating Poop? If your dog has chowed down on a pile of doody as a one-off and shows no ill effects, there’s no real reason to take them to the vet about it. Likewise, if they do so and then throw up but seem to return to normal almost immediately afterward, keep an eye on them but assume that your canine has learned a valuable lesson. All the same, you’ll want to follow the steps laid out above to ensure that both you are and your furry friend are kept safe and will experience no ill-effects. If you’re worried that your dog has swallowed something untoward, you’ll want to get them seen to. If this behavior continues, however, you’ll want to find out why (refer back to our guide earlier in this article). If it isn’t something that you can deal with through the medium of training, it may be time to call in a professional – a vet, an animal psychologist or a behavioral specialist. They’ll hopefully be able to prevent your pooch from continuing down this road, and convince them that store-bought treats are infinitely more appealing. However, it’s possible that your dog has developed coprophagia due to a medical concern. Issues with the thyroid gland or the pancreas, in particular, are likely to make your dog hungrier than usual. This, in turn, will leave them likely to seek nourishment from unconventional sources such as excrement. Will a Dog Go Blind if They Eat Poop? The risk of toxocariasis – the disease that originates with dog poop and has been known to cause blindness in human children – is genuine. When it comes to this particular condition, it’s a good news/bad news scenario. The good news is that munching on dog poop will not cost your pooch his or her vision. This is because toxocariasis is a zoonotic disease, meaning that it’s passed on from dogs to humans – not dogs to dogs. Other positives stem from the fact that this particular condition is very easily avoided. Toxocariasis is caused by ringworm in the feces, the larvae of which can get into the eyes of children and cause blindness if left untreated. If you’re a responsible pet owner that keeps updated with your dog’s worming treatments and ensures that they have regular health check-ups with a vet, you should be OK. The bad news is that, obviously, accidents can happen and maybe your dog will pick up an infection without you realizing. This makes not picking up after your dog extremely dangerous. Don’t take any chances and gamble with the health of a child in your neighborhood – keep a pooper scooper and waste bag handy every time you take Fido out for a stroll. The easiest thing to do is provide your dog with a high-quality diet, and if the behavior continues, consult a vet to confirm that there is no underlying reason why your dog insists on eating poop over something more wholesome. There are, however, further steps you can take without professional help. Learn to love the “leave it!” command. You’ll find this hugely effective whenever your dog starts to lick their lips at the idea of a poopy snack, and they’ll quickly get the picture. You’ll have to speak quickly and firmly, though. The most important thing is the tone that you use, not the words. That’s what you dog will pick up on, and they will react with the appropriate urgency. You can also walk away and change direction every time they encounter a pile of droppings and attempt to get stuck in. Dogs are smart; they’ll soon start to put two and two together and learn that eating excrement will lead to a confusing whirling dervish whenever they’re attempting to take a leisurely walk. 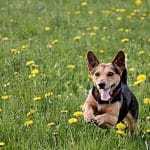 Stopping or delaying a dog from getting to their favorite spot for running and playing is a powerful way of getting a message through to them. You shouldn’t leave dog poop lying around for any reason – not even fertilizer. No waste means no temptation – and that, in turn, means no coprophagia. If there are reasons why you’ll need to keep some of your dog’s waste around – or that of another animal that you may need to use – there are a couple of things that you could sprinkle over the top to prevent it from tasting so appealing. Hot sauce or the juice of citrus fruit such as a lemon will work wonders for this purpose, or you could make a trip to your local pet store for a branded product that makes canine excrement taste less appealing – there are several to choose from. If you prefer to do things the old-fashioned way, you could pop some nutritional foodstuffs into Fido’s food that will taste considerably less appealing second time around. Any of the below ingredients will go down a treat as part of a meal but rapidly turn your dog away from the idea of tackling them again as a dessert. Put Meat Tenderizer in Dog Food. This is an approach that is undoubtedly effective – but it comes with one heck of a catch. Meat tenderizer can be bought from most grocery stores, and it makes poop smell and taste just as vile to a dog as it does a human, but this is usually because it’s loaded with MSG. Whether you’re happy with your pet feasting on such ingredients is up to you. Put Pineapple in Dog Food. Many dogs love pineapple, despite usually being deterred by scents of citrus. It’s safe to say, however, that this pizza topper is a one-way ingredient for most canines – pineapple-scented and flavored poop is a no-go for the average pooch. Put Spinach in Dog Food. Spinach isn’t just good for Popeye the Sailor Man – it’s also a bona fide superfood for dogs and humans alike. Fortunately, it’s not as tasty when the green leaves turn brown. Put Pumpkin in Dog Food. Pumpkin is another ingredient that dogs love, and they’ll happily wolf it down if you placed chunks of this favorite orange fruit in their food bowl alongside kibble or wet food. As we have claimed, a dog eating poop isn’t necessarily something to worry about – beyond the fact that it’s disgusting, and they will want to lick your face and share their experience after doing so. 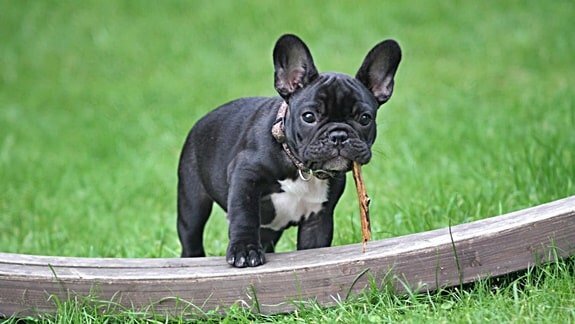 Happily, it shouldn’t take too much work to get your pooch out of this bad habit.